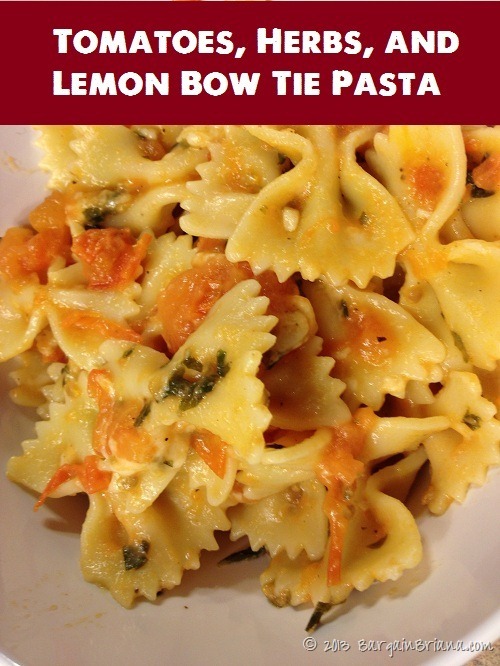 This is a easy fresh recipe to use if you have extra fresh herbs on hand. It was good but not as good as the Margherita Pasta, which is probably because it is missing butter! This also helped used ingredients that were part of our 2013 Pantry Challenge. Heat olive oil and garlic with medium heat in pan. Add tomatoes, mint, basil, lemon peel, salt & pepper. Cook on medium heat for 10 minutes or so. Remove from heat and add parmesan.